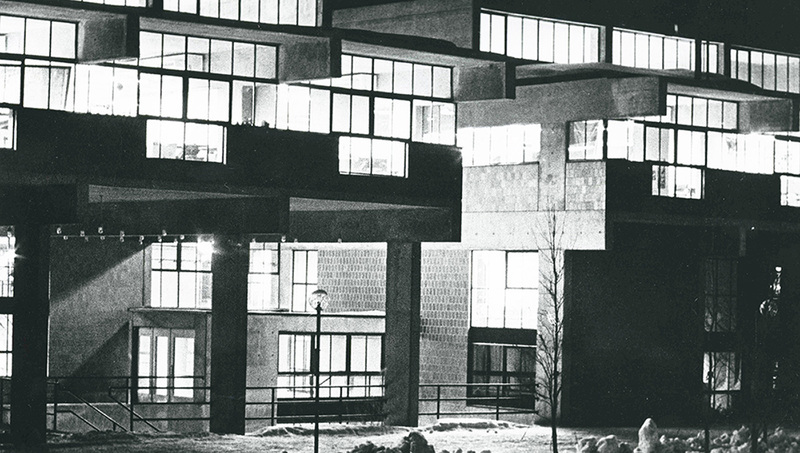 This fall marks the 50th anniversary of architectural education at Carleton University. On Oct. 4 and 5, the Azrieli School of Architecture and Urbanism is welcoming alumni to join faculty and students for Forward 50 – a celebration of things past and the shape of things to come. 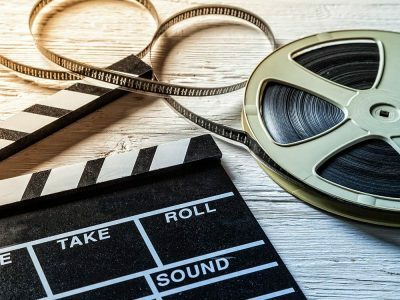 The two-day event includes stories and interviews, an auction, practice in design studios, receptions and a signature Dinner in the Street, held on the main level (or lower street) of the Architecture Building. Established in fall 1968, the School of Architecture began with 12 students and four faculty members. Established in fall 1968, the School of Architecture began with 12 students and four faculty under the directorship of Douglas Shadbolt. The purpose-built Architecture Building followed four years later as the program grew in size and significance. Designed by architects Carmen and Elin Corneil in partnership with Jeff Stinson, the building has shaped many generations of architects and continues to play a crucial role in the school’s programs and pedagogy. “The experience of being in that building is something we all share,” says Janine Debanné, associate professor and associate director. Before joining the faculty in 2001, Debanné was a student at the school in the late 1980s. With a generous donation by alumnus David Azrieli in 2008, the school changed its name to the Azrieli School of Architecture and Urbanism. The Azrieli endowment has been instrumental in the school’s growth and diversification. 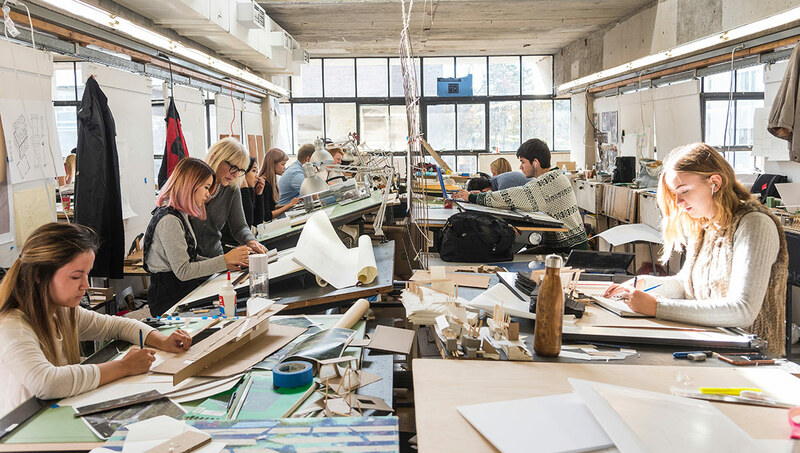 Having begun with a handful of students and a single degree program, some 500 students now study architecture and urbanism at Carleton each year, divided among four degrees and eight programs. In addition, the school now offers continuing education courses for professionals and several summer programs for students interested in exploring architecture. The school’s alumni practice architecture around the globe and are represented in a wide range of creative disciplines. 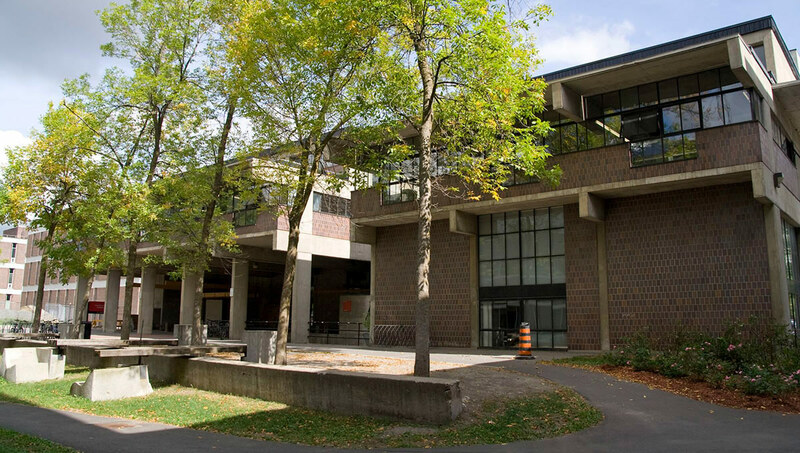 Travel has always played a key role in the study of architecture at Carleton. The ethos of the Directed Studies Abroad (DSA) program, which began with a full term abroad during the fourth year of the Bachelor of Architecture program, now infuses all aspects of the school’s academics. Over the past two years, groups of students have travelled to India, Japan, Europe, Istanbul, Madrid, London, Lisbon and Barcelona. 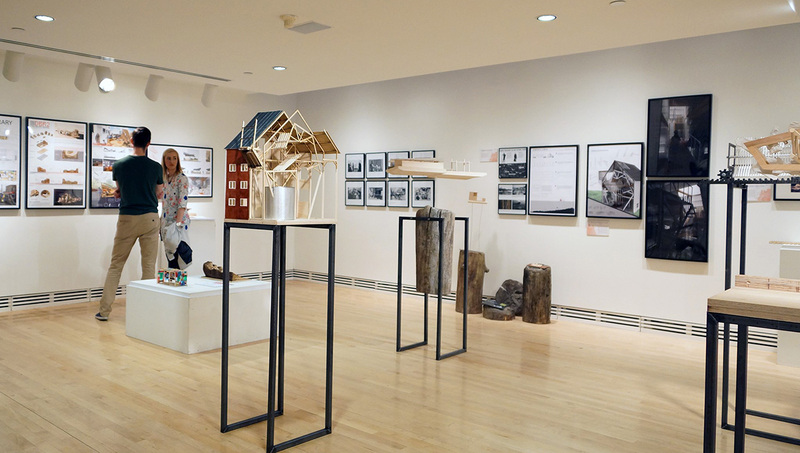 With a grant from the Azrieli Foundation in 2018, a group of students and faculty travelled to Israel and then to a small town in northern Nunavut as part of a graduate studio on Extreme Landscapes. Moving forward, Director Jill Stoner is excited to broaden these opportunities to include places like South Africa, Brazil and Serbia. The school is also involved in connections closer to home. 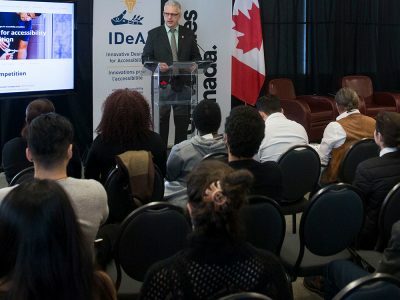 Through Carleton’s Immersive Media Studio (CIMS), there’s a potential to be a think -tank for Canada within its capital city. “CIMS lab is currently doing parliamentary work, forging a connection between our school and the seat of democracy in Canada. There’s a tie between this little old structuralist building and what happens in the country at large,” says Debanné. 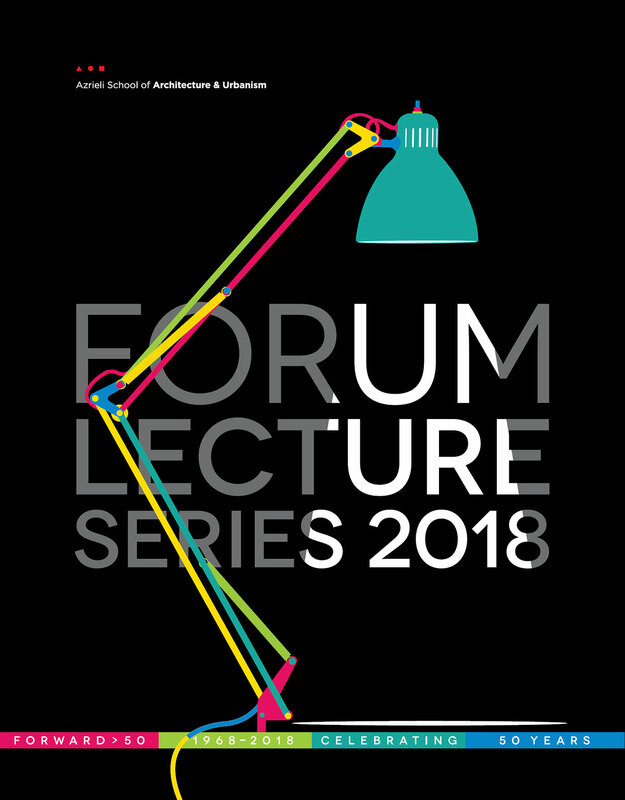 The Forum Lecture Series, established in 1968, is perhaps the school’s most recognized means of bringing Carleton’s architectural community together with leading thinkers. Through the contributions of corporate and individual donors, the lectures continue to introduce students, faculty and the wider Ottawa community to a host of leading practitioners and critics. Under the leadership of Stoner, thoughtful restorations and upgrades to the Architecture Building are underway. 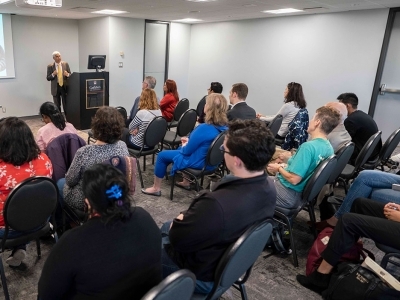 One upgrade – the Nan Griffiths Memorial Seminar Room – pays tribute to the former faculty member who passed away in 2018. Prof. Griffiths was the sole female tenured faculty member for several of her 22 years teaching at the school, beginning in the mid-1970s. In her Morphology of the City class, notes Debanné, Griffiths opened students’ eyes to beautiful cities and public squares around the world. The memorial space will house several book collections and serve as a setting for academic conversations about the past, present and future of architecture and urbanism. The room has been designed by alumnus Henri Cleinge (BArch/91). “It is an honour to be able to design a room within the school that shaped my architectural sensibility and to commemorate the teaching of Nan Griffiths, who made such a significant contribution to my identity as an architect,” says Cleinge. 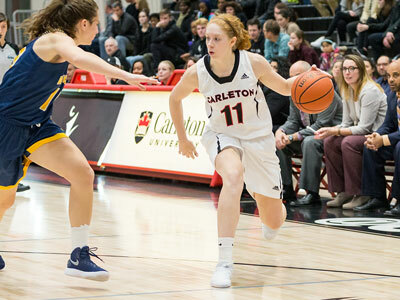 “I really hope, with my colleagues here at Carleton, that many alumni will join us on October 4 and 5,” says Debanné. The School of Architecture was established in the fall of 1968 with twelve students and four faculty under the Directorship of Douglas Shadbolt. The purpose-built architecture building followed four years later as the program grew in size and significance. A pivotal period in the school’s history was under the directorship of Alberto Perez-Gomez (1983-86), one that defined an era for the school’s pedagogy and left a lasting legacy of design thinking and production. These ideas have left a tangible layer onto the otherwise brut concrete walls.